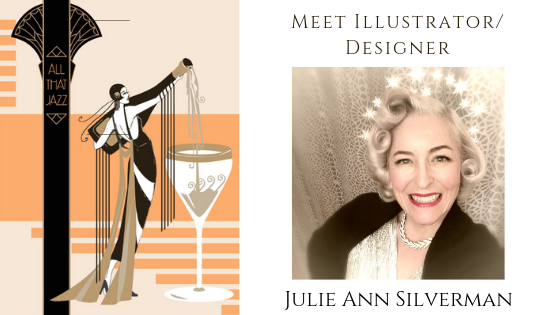 I recently had the opportunity to interview our new Fashion Illustration and Design Instructor, for the Fashion Studies Course, Julie Ann Silverman. She comes to us from Southern California where she has been a swimwear designer for the last 20 years. She is amazingly talented, and a wonderful Instructor. I’ll be breaking her interview into several parts as she has revealed so many little diamonds in this one interview, that it is too hard to absorb all at once. I love her take on developing your own style so read on below to find out more.